Michael Collins, whose death in August 1922 continues to be the subject of polemic. Denis Lenihan replies to Dan Murray’s article on Florence O’Donoghue and the killing of Michael Collins at Beal na Blath in 1922.
when using it.’ There is, however, rather more to the story than Murray tells. Lynch about the ambush. It is reproduced at Hart pages 410-411. Liam Deasy’s account of the ambush contradicts itself by suggesting that their fire forced the pro-Treaty party to retreat but that they had no knowledge of any casualties. hear the crack of a rifle from our little party, who never budged an inch from their position. knowledge of any casualty’ (page 82). knowledge of any casualty. They cannot have it both ways. the maps in O’Mahony, chapter 12 and Feehan page 123). They thus had a secure line of retreat, to deal with one of the matters raised by Murray. 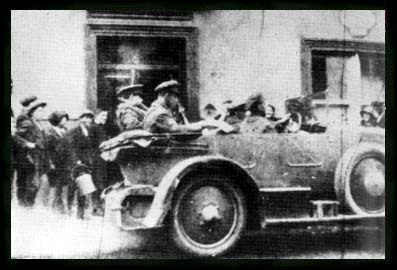 Having left the scene, they were unable to see Collins’ body being put in the armoured car and then in the touring car. These accounts also have the ambush party engaging the Collins party to warn their colleagues on the road to Bealnablath. outgunned, so the alternative would have been to withdraw immediately without firing a shot. excellent cover, they were firing down on them only a short distance away and they ‘could have picked them off one by one without difficulty’. But they did not seem to want to do this. officers in Beal na blath a chance to disperse. As Murray notes, the 1964 meeting took place because O’Donoghue ‘had been given an undertaking by Capt Sean Feehan of the Mercier Press that he would not publish Eoin Neeson’s book on the Civil War until we were satisfied that the part of it dealing with the death of Collins was in accordance with the facts. 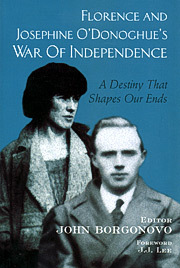 Florence O’Donoghue and his wife pictured in John Borgonovo’s book. Neeson had another bite at the cherry in his life of Collins in 1968, in which he dealt with the ambush in much more detail. Again, he has the rearguard four waiting only long enough so that their comrades ahead would be alerted by the sound of the gunfire, and then withdrawing. Twohig has Foley helping Deasy to set up a Lewis machine-gun on a rock overlooking the road. ambush. He left the site as it was being cleaned up. Having returned to the scene when the shooting started, Deasy was on Ryan’s account (page 109) able to see Collins’ body being transferred from the armoured car to the touring car. Even if he could not identify the victim as Collins, if this were true Deasy could not have written, as he did, that ‘the attackers had no knowledge of any casualty’. Mixed up in this may also have been some element of fear of Lynch and a desire to put the best face on the events. In any event, while Deasy’s reactions were understandable they involved him in telling less than the truth, and colouring what he did tell. He did not mention the existence of the mine(s) (Lynch’s reply – at Neeson 1 page 161 – noted that ‘it is surprising you had not mines laid to get [the armoured car]’) and exaggerated the role of the ambush party in driving off the Collins’ party. matters and weighed up the new situation in which we found ourselves’ (page 78). What could have been more urgent than arranging an ambush for the commander-in-chief of the opposing forces? What he said to Neeson and Feehan about the ambush we will never know, but perhaps one significant fact in the present context is that neither mentions his disagreement with Deasy over the ambush question, even though it is quite plain. 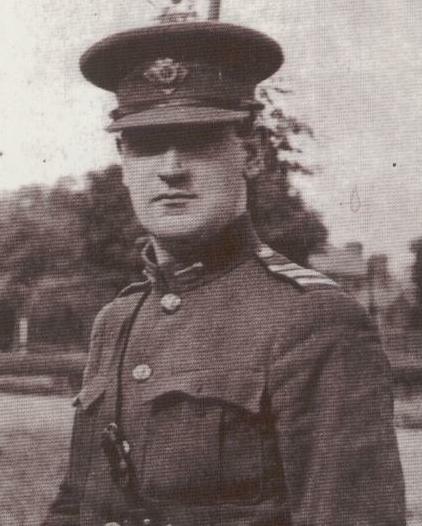 2 Responses to "Deceptive Manoeuvres: Daniel Murray, Florence O’Donoghue and the Death of Michael Collins"
Is it your conclusion that Eoin Neeson’s account of the death of Collin’s in his books The Civil War in Ireland and The Life and Death of Michael Collins is factually incorrect? and if so could you recommend a biography of Collins that isn’t. Denis Lenihan’s criticism of Murray’s article is most welcome: http://www.theirishstory.com/2014/02/25/deceptive-manoeuvres-daniel-murray-florence-odonoghue-and-the-death-of-michael-collins/#.U0dDHs938Yw. He raises excellent points, and is generally more fair than Murray has been. Still his essay is not above comment. Mr Lenihan notes that “unsurprisingly” Deasy’s account and the 1964 affidavit are recognizable as describing the same events, with reasonable fidelity. When any number of people witness the same events, it should be “unsurprising” that their accounts agree. Although, with reference to Béal na mBláth, we’ve come to expect just the opposite. This is the real “reason this record was made”; also the reason that Murray, Lenihan and myself are still debating that event. Lenihan seems to intend the word “unsurprising” to be taken here in a pejorative sense: as if insinuating something suspicious, in any consonance between the various anti-Treaty men’s accounts. Lenihan does well to quote Deasy; as most historians on the period have not disdained to do before him. Presumably, he does so because he recognizes the value of that record, which has a poignant ring of truth. At the same time, he seems ready enough to join in some declared open season on that telling. Yet Deasy’s account is far more reasonable, believeable and well-corroborated than Dalton’s, which is everywhere so thoughtlessly quoted. Lenihan’s analysis of Deasy makes more attempt to be fair but is still fundamentally pejorative. He does not allow for extraordinary conditions, including emotional factors, which have impaired our record of Béal na mBláth, and suppressed information from those with first-hand knowledge. Nor for the fact that Deasy was not around to finalize his own autobiography. Deasy’s book on the Civil War, Brother Against Brother, was not published until after his death; and so he cannot be held entirely to blame for its discrepancies. Its chapter on the death of Collins has certainly been filled out with bits from other accounts, including Dalton’s. It’s doubtful whether he was present for the final edit of that section. A great deal is made of Deasy’s not being at Béal na mBláth all day. Comparing various accounts, it seems he was present at the meeting which decided to set the ambush, took some part in planning and perhaps in preparing it, but did leave the site and return later. Tom Crofts corroborates that he and Deasy returned shortly before the convoy arrived. The 1964 affidavit does not absolutely contradict this. Lenihan’s slur “going further by trying to write himself out of the scene at the relevant time” is inaccurate and irresponsible. The excellent question, “what could be more urgent” than what was happening at Béal na mBláth, underlines the necessity for understanding how decisions were taken in the IRA. This includes both consonance and divergence with conventional military chains of command; as noted above, in considering whether any legitimate reason for absenting himself might have existed. Lenihan’s admission that “this is hypothesis” might be better placed as a disclaimer introducing such conjectures as “Deasy felt…” & “He persuaded the 1964 group…” As it stands, this may not be clear to readers. That “fear of Lynch” may have dictated any part of Deasy’s official dispatch report about Béal na mBláth is certainly an original suggestion. Yet it’s hard to imagine apprensions of that kind holding much sway with IRA leaders. It was their very readiness to gamble their lives against superior military / political forces, on a point of principle, which created the entire upheaval of the War of Independence and Civil War. At the same time, both writers fail to consider the intense and conflicted emotional state of these insurgents, engaged in a war on comrades and relatives, which had only just started, which many had extremely mixed feelings about; and which was in negotiations for cessation, not only at that very moment, but indeed throughout the entire, short, yet devastating conflict. As Lenihan concurs, 1) anti-Treaty accounts are virutally unanimous that their fire was intended only to delay the convoy, covering their comrades’ withdrawal, and to warn those on the road of the convoy’s approach. 2) The ambush party’s numbers and fire power at that point were entirely unequal to do more, against a convoy that so far outnumbered and outgunned them. 3) They had a secure line of retreat, which they used; suffering no casualties, and were not persued. And 4) they did not see Collins’ body being moved. His comment that anti-Treaty deponents “followed the script” is made without supporting evidence, and without reference to stronger indications of apparent scripting in Free State accounts. In this he repeats Murray’s failure to discuss both sides in an even-handed manner. The real issue is not that the anti-Treaty were any more or less accurate or sincere than others, in reporting the action as they saw it. The real issue is that to be precise there were no witnesses: only participants; and that for this reason we have no first-hand information, except from those whose own personal connection with the tragedy might affect their judgement or veracity. This is generally true of all accounts of the ambush, and must be calculated in, as a margin of error, in any evaluation of such testimony. Discrepancies between the 1964 Affidavit and other ambusher / anti-Treaty accounts might be due to the inherent pitfalls of issuing any statement by committee. Signed by six men, it represents what they agreed as a joint statement. It leaves open the possibility that it does not comprise the whole story as remembered by each of those six people; but is rather a compromise, accepted in order that some verifiable record from anti-Treaty participants should exist. To this day, it is the only one. There is no other. Feehan’s is the only other comprehensive attempt, taken during their lifetime. But it, also, is a summary, assembled from the testimony of a number of participants. They themselves did not sign it or author it. We can only rely on Feehan’s general accuracy, without knowing precisely what each individual said. Generally speaking, the evidence does not support any assumption that the anti-Treaty deponents were less accurate than those from the Free State convoy, nor that they were less resistant to the universal proclivity to report one’s own actions in a sympathetic light. Both Lenihan and Murray seek to explain away what the ambushers say so unanimously; but they seem to do so without reference to the overall picture, including all accounts. What troubles these writers, may be the difficulty of tallying these accounts with those of the Free State party. Perhaps what their own reason is going through unnecessary contortions to account for, is that the anti-Treaty accounts generally better agree with each other than those from Collins’ convoy. This need not be a stumbling block, when one considers that Free State testimony published after the 1920s corroborates the ambushers’ version, on several points; and directly contradicts the quasi-”official story” of Dalton and Smith. Is there bias here not only in the witnesses, but in the examiners thereof? Are these writers hampered by unconscious disregard for discrepancies in the Free State accounts? Have they approached the anti-Treaty evidence on the assumption that testimony from Collins’ own convoy could not be flawed? The fundamental problem with this, or indeed in any investigation of Béal na mBláth, is that none of the accounts can be thoroughly evaluated without reference to each and every other account. This is something which I hope my own recent book on the death of Collins, might help facilitate future investigators in doing. In looking closely at all the testimony together, it becomes clear enough that to choose out any one account, and say so-and-so contradicts it, is not enough. Every account is contradicted by other accounts. The entire body of testimony is one mass of mutual contradictions; and also corroborations. It is necessary to make a comprehensive study of all those contradictions and corroborations, in light of all factors, and then ask: 1) Could both be true? 2) Could the difference be due to a) perspective, b) error, lapse of time, or c) lies ? 3) If c), then which ones lied? 4) Why did they lie? Having done so, my own critique of the 1964 Affidavit is that it may be reasonable to suspect that the anti-Treaty men preferred to say that the convoy withdrew under their fire, rather than admitting that they themselves were the first to retreat. Nonetheless, they consistently and unanimously agreed, over several accounts, decades apart, that they saw no casualties on either side, and did not see any Free State man fall. We should certainly think carefully about what that means, if the anti-Treaty evidence is accurate on that point. We should also thank Mssrs Murray and Lenihan both, for causing so much discussion on this very important topic.